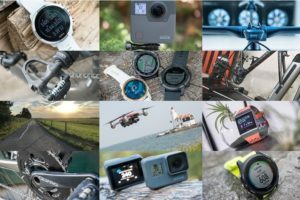 Sitting on the list of things I’ve been meaning to write about for about a month, is a nifty and little known tidbit: At the ANT+ Symposium this year, Garmin announced that 3rd parties could start to leverage Garmin’s previously proprietary Cycling Dynamics metrics within their own products. Be it power meters or head units (or watches), all of which no longer requiring Garmin Vector to get cycling dynamics. So, since my sushi for lunch is taking about 45 minutes longer than it should to be delivered, I’m just going to see if I can knock out this quick post and then get back to finishing up that Apple Watch review. Now, longtime readers know that I’m hardly a huge proponent of Cycling Dynamics, mostly, because I think there’s not a ton of actionable information from it. Which isn’t saying that there might not be down the road, but rather that I simply haven’t seen much in the way of coaching/training/racing guidance that leverages it. Hopefully though, with more power meters and head units supporting the metric, we might get more software platforms to support it as well. Today, that’s mostly limited to WKO4 and I believe SportTracks as well. Which is a round-about way of saying that while Garmin has let the reins (or locks, as it may be) go on this, it’s really up to everyone else to actually do something with it. It’s also a round-about way of telling you that the rest of this post might get a bit geeky. Which doesn’t, unfortunately, mean that tomorrow you can use the PowerTap P1 pedals and get Cycling Dynamics information on your Wahoo BOLT. That requires a few more things to happen. First, the TWG has to accept (as a group) Garmin’s specs. By that, I mean that the purpose of the working group is to discuss specifications and agree upon standards. It’s what makes the power meter industry go round. So who is this working group? It’s a collection of any interested parties that are full ANT+ members. In the case of the power meter working group it’s reps from companies like Quarq, Wahoo, Pioneer, PowerTap, and so on. 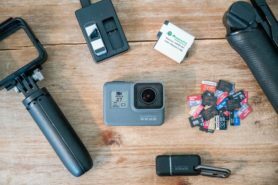 Even companies like TrainerRoad are there. Said differently: Everybody. In the case of the meeting up in Banff, not every company was there. For example Garmin, Quarq, Wahoo, and TrainerRoad were all in the room. But I don’t believe PowerTap/CycleOps folks were there, nor Pioneer or Favero. They could have potentially been on a conference call, and certainly would have received the information later (since then). The point is that all these folks from around the world have to get the information and then decide if they want to amend it. Well, while Garmin has a great base for what they do specifically with Vector, it may not match precisely what Pioneer or PowerTap wants to do. 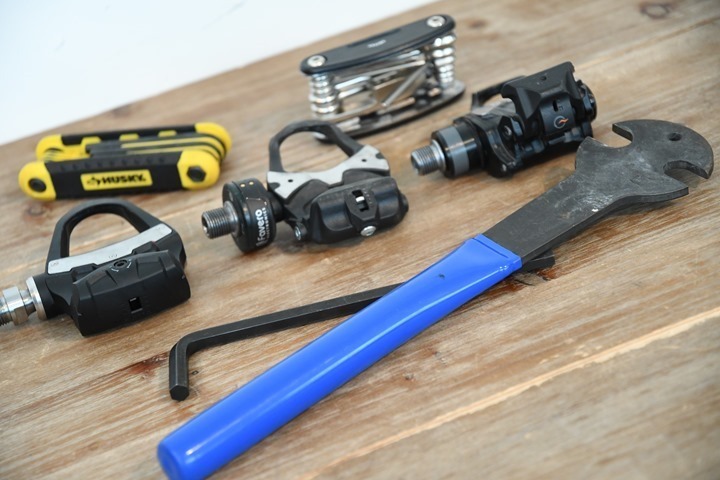 Or what Stages, ROTOR, Verve, or Shimano might want to do. We know both Pioneer and PowerTap, for example, have their own advanced metrics, and they may have things that Garmin’s baseline doesn’t. The goal then coming out of the TWG is to find the middle ground for everyone. The challenge? That can take a long time. Years sometimes. Meanwhile, on the head unit side, companies like Wahoo and Hammerhead (who were both in the meeting) certainly are likely eager to adopt it, as it’ll make them more competitive to Garmin for Vector users (in the short term), and all power meters in the longer term. The trick here to getting what you all want (cycling dynamics-like metrics supported across the board) is essentially telling these companies that you want this information. If you want PowerTap and Favero to implement it in their products, then you should reach out and tell them that (or at the very least, drop a note in the comments below). Else, they probably won’t. Once they decide to, then there’s still a time period for them to figure out how to implement it. Some things might be technically easy to do, while others may take more research and development time. Just depends on the metrics. One point I made in my ANT+ Symposium Keynote, was that at this point it’s really in the hands of these companies to implement. Garmin has handed over the keys, so in essence, we can’t really blame Garmin anymore (which I was able to do for the past 3+ years). If I fast forward to next spring and nothing has happened, the only companies I can blame now are the PowerTaps, Pioneers, and Wahoos of the world. Which gets to the last dirty little secret of the ANT+ TWG: Garmin is effectively forced to implement standards that are ratified within the TWG process, no matter the profile. Be it cycling power meter additions or running power meter support, if a formal ANT+ working group is established and then a standard comes out of it, in almost every scenario that’s sport-specific: Garmin will implement it. They may not implement it on every device of course, nor older devices. But for the most part, it gets implemented. Thus, if companies want to force Garmin’s hands to implement their technologies, the fastest way to do it is to go create/join a TWG and then get a profile ratified. All of which gets that technology into consumers hands quicker, which is a good thing for everyone. HOORAY! That took long enough. Let’s hope the TWG works things through quickly and implements all the metrics members are looking at! Hope you are enjoying your sushi!!! Ray, what would be the incentive for Garmin to implement standards ratified by TWG? Does it make future development easier/less costly? Is it about broadening the comparability of their head units/wearables? Also, how broad is the standard? Will TWG standards require competitors to make a decision on how they develop their products? Will conforming to the standard mean innovating will push their product out of the ecosystem? For example, let’s say TWG standard existed prior to the development of Pioneer’s PM. Would Pioneer still produce a hi-fi PM? (Obviously, not a perfect example as Pioneer had the resources to develop their own head unit to support features outside the ecosystem.) I guess I’m asking whether there will be a disincentive for companies to develop features not supported by the standard. Agree that getting products quicker is better. But wondering what downstream impacts could be. Sushi had arrived, so I quickly wrapped up my geekery and went onto eating. In a nutshell, because they own Dynastream (and thus by extension ANT+), their incentive is that if member companies see Garmin stop adopting it, they’ll quickly shift focus elsewhere. In many ways, Garmin acts as a bit of a glue here. At the same time, yes, Garmin knows that a significant chunk of why people purchase their products is the compatibility with all these other sensors. Things like action cams, bike radar, bike lights, and so on. Not everybody of course, but certainly some. Garmin’s probably betting that their marketing engine could also surpass others, meaning that they can say they support it ‘best’ on both head unit and power meter. And as such, they could say ‘Hey, buy our power meter, and get cycling dynamics on anything’. Or inversely ‘Hey, just buy our head unit, and get cycling dynamics from anything’. Or maybe they just want to be good corparate citizens and want me to stop whacking them upside the head for it. The way ANT+ standards work in 98.5% of the time is that they don’t break past products. So a power meter that gets a firmware update to support cycling dynamics, doesn’t break a 5 year old head unit that doesn’t know it exists. It’s a bit of a tenant of ANT+ and their thinking. At the Symposium they talked a bit about how they do think at some point in the near future they may need to make some tough backwards compatibility decisions to keep innovating fast enough (not nessessarily power related, but in general). For the most part though, many different device profile standards have had new metrics added over time, and it’s just blocks that basically bolt on. That said, when it comes to certification, a company would have to at least not barf when handed the data. They don’t have to display it nessessarily, but they shouldn’t crash either. It doesn’t keep companies from doing their own thing. Pioneer is a great example here in fact. That’s because they can continue sending their own proprietary stuff alongside the standard stuff if they wanted to. They can also decide not to send any new standard stuff either. That’s fine too. That said, having actually talked to Pioneer specifically about this, they seem eager to jump on this. For them, they’d much rather have their power meter fully compatible with boatloads of Garmin head units, than have that data only available to a tiny handful of people with the Pioneer head units. 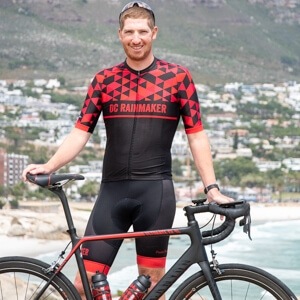 They know their pricing is very competitive on their own head unit, but the lack of ability to get their advanced metrics to where the bulk of users is, is holding back their power meter business. I’d actually say out of almost all vendors out there, this benefits Pioneer the most. If pioneer wanted their power meter to have all the advanced metrics with garmin head units they could already make a custom data field. Though I guess they really would need more then one which is a limitation in connectiq, both in number of data fields but also in that only one can have a custom ant channel to the power meter at a time. I’m a little confused about this. Pioneer would be able to transmit to all the Garmin head units, but would this development allow them to also transmit to Wahoo head units for example? Who would need to do something to make that happen, Wahoo? Pioneer? Both? In theory, everyone can transmit anything and everything to everyone. Pioneer to Garmin, Garmin to Pioneer, PowerTap to Pioneer or Wahoo, and so on. In the case of Pioneer specifically, it’s likely a relatively minor lift to get their metrics ported into the Cycling Dynamics ones, since they’re already doing things in that realm. Whereas for someone like Favero, it’s probably a bigger lift because they aren’t doing any of that today. But the real trick is item A above, getting that ratified. As much as one wants to blame ANT+ for how longs things take (which they can), much of this at this point comes down to the member companies pushing it along. Thank you for the clarification Ray. One quick follow-up if I may. Have you specifically talked to the Pioneer people about this subject? I think you have alluded to this somewhere else, but given how much data a Pioneer PM already transmits, combined with the general sense that their head units are less than desirable, it seems as if they would be jumping to make this happen. Personally, I’m leaning towards taking a leap of faith as a Wahoo Bolt user and am going to order a Pioneer retrofit on my current crank. Hopefully I’ll be able to take advantage of their advanced metrics in the near future. I talked to Pioneer about it at Interbike, but not the specifics yet, because it hadn’t been announced yet (I knew about it then). So it was more general ‘if this happens’ type stuff. Still, it’s on my list to circle back to them and see what they’re saying (along wither others). Do we think quarq can implement any of these metrics ? Or to put it another way, do quarq else/dzero owners have anything to gain from this, even it the data itself is of limited use ? 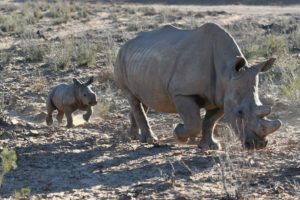 What metrics could they support and are they likely to ? Is is really more aimed at pedal based solutions ? more data is good ? . . . right ? It’s mostly aimed at either pedal solutions, or solutions that have dual sided elements (i.e. 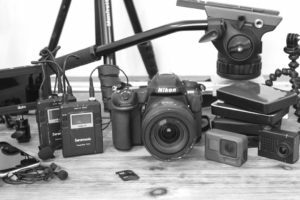 ROTOR, Verve, 4iiii Dual, etc…). I’m interested in this as a DZero user. I believe I’m correct in saying that the basic cycling dynamics metrics (namely “Pedal Smoothness” and “Torque Effectiveness”) have been part of the ANT+ Bike Power Profile for many years now and neither of these have been implemented by Quarq as far as I’m aware; certainly not on the DZero generation anyway. I don’t know if that’s a technical limitation of the spider-based measurement, or a lack of interest from Quarq in developing these features, but either way, it perhaps doesn’t bode well for even more advanced metrics. I’m not too fussed because IMO, it’s a very minor, peripheral concern compared to the core function of a power meter, which the Quarq DZero performs extremely well. Interesting, so what would be Garmin’s motivation to do such a thing? To get Cycling Dynamics Support into applications like TR and Zwift in order to drive vector sales? But they’ve already done that privately with TR at least, right? 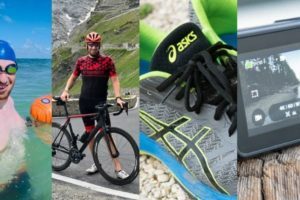 Depending on the Intellectual Property policies of the ANT+ symposium, the motivation for Garmin may be to have others adopt the cycling metrics, so they can force them to license patents that cover Garmin’s innovations in the area. In cellular standards, that is typically a driving force for companies to innovate and to be involved in the standards development process. 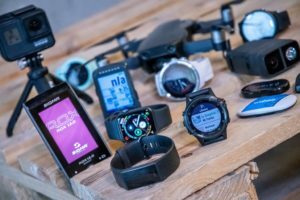 Thus, Garmin has the latest tech in their own devices, driving sales, and the licensing revenue from patent licenses allows them to profit from the sales of others. What you saw with TrainerRoad* was basically Garmin greasing those skids ahead of the ANT+ announcement. And we saw significant feedback from users in that for not just Garmin Vector support, but people turning around and asking for all the other companies to add support as well. Of course, the devil’s in the details there on wording and the precise metrics displayed. To date, I haven’t heard anyone mention patents or licensing fees in any of the discussions I’ve seen/heard from any party. Garmin might also be in the position that they don’t feel like cycling dynamics helps them sell more Vector units by having a monopoly on the data. If patents were a problem with pioneer wouldn’t there already be a patent issue? Ray, that is great to hear! Wahoo team, I would love to buy the element or bolt, but I use Vectors. If you add support for cycling dynamics and pushing to garmin connect I would consider switching from the Edge to a Element/Bolt. I’m a happy element bolt and p1 user, would love to have cycling dynamics! Thanks for the details once again Ray. Do you know if the Bluetooth guys have in sight to adopt cycling/running dynamics as well? By now, we just have power, cadence, and balance, which is very limited for the consumers and developers. I’m not aware of anything there. At present most companies doing stuff in this realm on Bluetooth Smart (Polar and ROTOR for example), are doing it company to company as far as I understand it. While we’re here talking TWGs… any news on the one setup for running power ? Any word on if they’ve even met yet ?! Hey Ray how does that transgress to the likes of TrainingPeaks ect? Hope the Sushi was sensational and worth the weight waiter wait? The more data that my PowerTap P1s and Garmin Edge 520 give me, the better. the fastest way to do it is to go create/join a TWG and then get a profile ratified. True, Garmin won’t adopt all of them. But had companies like Stages or Pioneer asked for high speed data in the power meter profile, Garmin likely would have implemented it. For other profiles, it’d depend a little bit on someone bringing it to market that Garmin thought was worthwhile – or that they’re seeing adoption for. We saw Garmin do ANT+ weight scale forever, but then basically nobody was buying them (instead going with WiFi scales), and Garmin has slowly removed that from products going forward (of course, one could also point out Garmin released their own scale around then too). Ant+ power profile does support 8Hz transmission but Garmin head units only update at 1Hz so…. Gear Shifting. The official ANT+ Gear Shifting profile was brought by SRAM….for eTAP. EPS had this before SRAM released eTAP though. So there are two (3 potentially if/when FSA comes out) that use the Gear Shift profile. However, the DI2 private ANT (not ANT+ profile) integrates both the shift profile and a reversed version of the remote control profile which means that Wahoo, for instance, supports DI2 remote but not actual remote profile. The 8hz thing was mainly a math thing that could happen so Garmin exploited it for their cycling dynamics. Most PM’s are event or time driven, and event is a full rotation, so at 90rpm 8hz is 1 new data page and 5 redundant ones. They just shoved in new data pages (TE/PS or Garmin cycling dynamics). Garmin wants at least 3 companies, I believe, to make a TWG. The ConnectIQ is to help alleviate fear of not being first but a method of proving a concept to form a TWG. I for one would LOVE to see PowerTap at the table and leverage Garmin’s proprietary Cycling Dynamics metrics within the P1 pedals!! It would be great if Pioneer could implement this via a firmware update. I already own the Pioneer power meter, but their headunit just isn’t great. It would be nice to see Pioneers power dynamics information on my Garmin headunit. For the last 2 weeks I have been holding out for the Garmin Vector 3s for two reasons, first is both they and the Faveros are not currently available (meaning I didn’t have to put cash down) and second was that the Faveros don’t have all the metrics that Garmin do. Having said that, I put an order through for the Faveros yesterday as I couldn’t warrant paying £130 more for what is effectively the same thing (dual power pedal) and delivery was for end of October. If Favero make the move to support the cycling dynamics, would just mean that I have backed the right horse which is always nice! Again it is bitter sweet as Clever Training (Thanks Ray for the discount!) sent me an email this morning saying that manufacturers have delayed delivery until early November. Sigh! Hahaha the “s” in “Garmin Vector 3s” was intended as plural, I now see the confusion. I’ve never heard anyone make that claim about the original BePro units. Again, I’ve never heard anyone post that before…so it’s just a bit of an odd claim because it’s the first time in two years and over 500 comments on that review…nobody’s had that issue. Also, I actually test power meters bought from retailers just as often as direct from companies. In fact, all of my testing fleet that I use for long term tests is simply from retailers. Even my Assioma’s for example, retail, not the company. Okie, its just our own experience. The new Assioma was perfect (as it should be) for us also, out-of-the-box, within 1-2watts comparing to Tacx Neo and Power2Max. Here’s one more vote for PowerTap P1 pedals supporting Cycling Dynamics! I intend to buy Favero on next year and it will be really sweet if I have dynamic metrics (mostly standing pedaling time). Would love to see this data from my Powertap P1s! Another +1 for adding this to the P1 pedals – hope Powertap are reading!?! How did you get the Vector 3 to show up under the Edge 1030? It does it automatically now. Also even shows battery status on the site too. Having your avatar in Zwift sit/stand based on the info coming from the pedals would be awesome. Another step in making Zwift more realistic and immersive. I’m planning on upgrading my Bepro single side next year. was going to go with garmin for the dynamics stuff but may go with the new Favero dual sided system if this is implemented. If Wahoo implement this on their head units then perfect, Garmin have sold another pair of V3 pedals. I have been looking for a power meter and the Vector 3’s have been appealing but I have been holding off as I am a Wahoo elemnt Bolt user. PowerTap please implement … and now magical it´s going to happen? 🙂 I´ll take it! I have powertap P1’s and this would be awesome if Powertap implemented it. Didn’t you do a similar post a few months ago about Garmin opening up running dynamics as well and, unless I missed it, aren’t we still waiting for somebody else to actually implement something? Then there was that post where everybody that was already computing something similar came up with different numbers. I wonder if any more chance of “agreement” with this stuff. Then this stuff only seems applicable to pedal based systems unless you can work out metrics through a pedal when measured elsewhere? Would be great to see this on the PowerTap P1’s. I’ve had to barrow an iPhone in the past just to do firmware updates, so I’ve never gotten to use the advanced metrics. Getting those on my Garmin and in the FIT file natively would be great. Thank you for your inquiry. 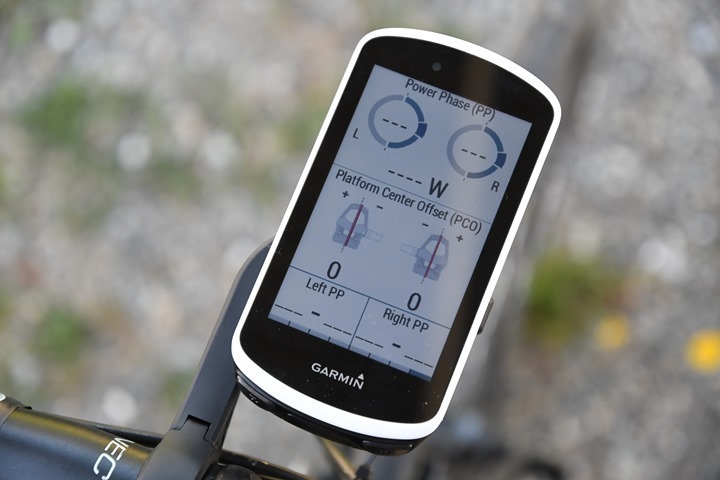 At this time, we do not have any plans to add the Garmin Cycling Dynamics to the ELEMNT display. However, I have created this as a feature request and brought it to our developers’ attention for further research and consideration for implementation in a future update. I’m using a Quarq DZero power meter on my MTB along with a Garmin Edge 1030. I’m not getting any torque readings on the 1030, but when I run the Quarq smartphone app, i see a torque value being displayed. i would also like to see the power phase graphic as displayed in your article. Could you provide any clarity. Does it find it during pairing? I concur. I created a feature request on Zwift’s support forum. Can you vote for it? Ray, do you know if the Garmin 1030 can display advanced power metrics from a Pioneer dual power meter? Getting this information is difficult. It’s up to Pioneer to work with the ANT+ PM group to confirm the expanded specs and then implement it. Its a low chance for PowerTap will support garmin standard. they for now cant release android app yet for 3-5 years. I have PT p1 and its a good PM with quality control problems. but if thay will be swimming like thay do now their PM die very soon because vector 3 is better everywhere if you dont exceed 110 kg weight limit. The cycling dynamic was the reason why I purchased the power meter. I could only afford one side though :(. According to the advertising on Garmin’s website it claims that the cycling dynamics should work on Garmin 520 as well as others. I have yet to see the cycling dynamics claim either on Garmin connect or my cell phone app. Is this option only available on the Garmin 1030? I have emailed them but they seem to be avoiding the question. Any help on this matter would be helpful. Thank you. Cycling Dynamics are only available on a the Vector 3 not 3s. I just RMA a second set of Vector 3 due to spikes and drops outs and are now running the Assioma Duos. Seems like there is a 50/50 chance of getting a good set. The cycling dynamics data is not that useful I find and using a Garmin 1030 and the Assiomas gives me everything you could ever want. Garmin is currently ramping up production of their new battery door design for the Vector 3 and hope to have it out next month for people to replace faulty pedals. Looks like Garmin is very aware of the issues and stopped shipping vector 3 a few months back to suppliers while the battery door is getting revamped. Cycling Dynamics is available on many devices, all Garmin based, but none of which are phone based. But more or less with the exception of the Edge 130, every even semi-recent Garmin head unit and wearable will collect Cycling Dynamics data. Some vary in how much they display however. And whether or not anyone finds it useful is a different question altogether. As for shipping of units, nope, Garmin has not stopped shipping units out except for the usual/annual Chinese New Year break (despite the battery pod issues). Hi Ray, thanks for the clarification. what I was meaning is the information on the cycling Dynamics page that adds to your screens when you pair a set of vector 3 on the 1030 only showed actual data when I had my Vector 3 not the 3s i.e. the standing/sitting and pedal offset etc. The other part is I was on the phone multiple times this week with Garmin support and two different people confirmed they are not shipping until the battery door solution is manfactured and ready to be sent out to people. The reason I had to RMA and get a refund is they were not sending out pedals with the old door to customers and the new solution may be still a month away. Again this might all be wrong but Garmin support confirmed over the phone and via email this week and if so should not be letting their support staff send this information out. Ahh, gotchya. Yeah, I haven’t played much with Vector 3S, all my time has been on the dual-sided one. As for the battery door…it continues to be handled messily. They said last week they were sending out pedals to folks for replacements, just not with new doors. Those would come in June. I suspect there continues to be some support disconnects here where they should be offering any sort of replacement to get you going yet, even if a temp one. I finally received the new battery cover. I followed the instructions and replaced with new batteries. For some reason every ride has at least 1 major spike with power. Makes no sense. In addition, my read out still fluctuates WAY to much on the power. I thought the whole point was to control my power. It flickers so much that my heart rate is a better judge of performance then my power. My HR doesn’t jump as much as my power. Help!! Do you have a screenshot or public link to an example workout? Generally speaking, power meter data is pretty bumpy, which is why most folks use 3s/10s/30s averaging to display power data. I was just thinking about this sort of thing today, having just got the Favero Assioma Duos. I have the Wahoo Elemnt and have set that up with a plethora of details. But the problem is now, how can I analyse all that after the ride? Is this article relevant? Or am I barking up the wrong power meter analytics tree? The simple version is that the article remains correct…which unfortunately means that nobody 3rd party-wise has adopted it yet (including Favero). That’s mostly because the ANT+ Technical Working Group for power meters haven’t finalized the spec yet. And why is that? Because the power meter companies haven’t really done anything to ratify it. So…while it’s easy to blame ANT+ here, ultimately, it’s just the power meter companies themselves that are slowing this down. Ah, fair enough. Thanks for letting me know. PS, so no way to analyse pedal smoothness etc after a ride? I looked at Training Peaks and it doesnt seem to do it. I just installed a pair of P1’s and tested them out on my Edge 820. The cycling dynamics screen didn’t show any power data when I did some right pedal only drills. The main screen showed data. Just not the cycling dynamics screen. Is that to be expected or do I have some software issue? I feel like there seems to be a lot of confusion about this and hope Ray can clarify. 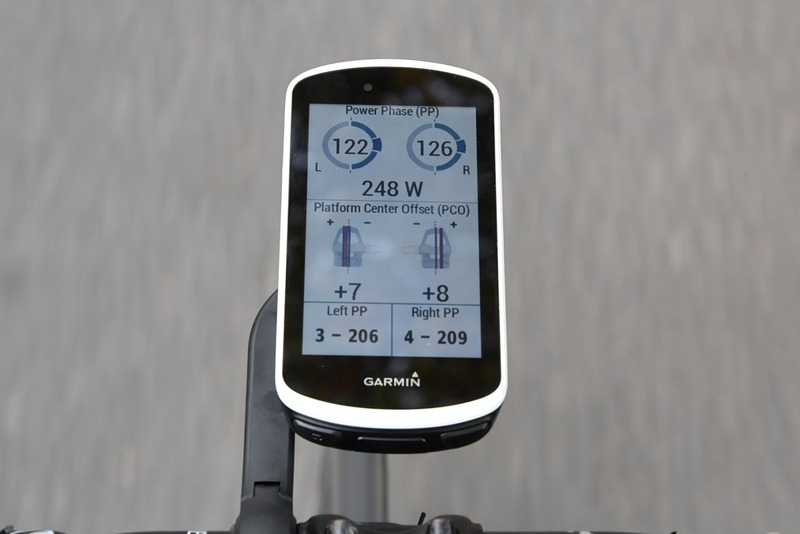 I was under the impression that the cycling Dynamics screen on Garmin head unit devices only currently works with Garmin Vector 3, not 3s or any other power meter pedal. It doesn’t matter if it’s a Assioma Duo or P1 with dual sided power, the only time I have ever seen the cycling Dynamics screen work on my 1030 Garmin was with the Vector 3 (currently running the Assioma Duos after the battery door issues). All the data that the pedals can provide are able to be added as normal data fields elsewhere. Thanks – I suspect your right. I get similar L/R data from my P2M on that screen, but haven’t tried a L or R only pedaling drill on my P2M. It’s expected. Nobody except Garmin has implemented Cycling Dynamics yet. Still. First up will be Favero Assioma next month. Ultimately, at this point it’s pretty much firmly in the camps of companies like PowerTap, Favero, and others. (Nitpickers corner: At one point this spring you could have said it was ANT+’s fault for dragging their heels. And that’s both true and untrue. It wasn’t officially ratified yet, but that’s because they couldn’t find any partner power meter companies to officially ratify/push it through the TWG. It’s the part that frustrates me so much about the entire ANT+ TWG process, ANT+ is too timid to make the next steps and formalize bits, and companies are also too timid to do so. Thus, nothing gets done. Mind you, Bluetooth Smart isn’t really any different in this respect). Hello Ray, is there any news about the implantation by favero of Cycling Dynamics? I was waiting to buy a pair of vector 3 because this functionality can help me recover from a lesion in the psoas and I am in doubt whether to buy them or wait for the favero assioma and cycling dynamics. Has anyone found an easy way to extract and compare Cycling Dynamics data over time? For example, last year I changed my position fairly significantly, and I’d expect the differences to show up before and after. Ideally I’d like to see a chart of something like peak power phase arc length over the past couple of years. Probably doesn’t matter, but I’m curious. Thanks! Any news on if/when the Favero Assioma will get cycling dynamics? Ray seemed to indicate that it was in the pipeline? Just had a great and honest reply back from Favero (they seem like a decent company) – essentially they are working on supporting aspects of Ant+ Cycling Dynamics by the end of the year. They made an interesting distinction that Ant+ Cycling Dynamics is similar but not the same as Garmin Cycling Dynamics. I assume that means there is no absolute guarantee that even if Favero implemented Ant+ Cycling Dynamics that current Garmin head units would be able to receive them without a firmware update? 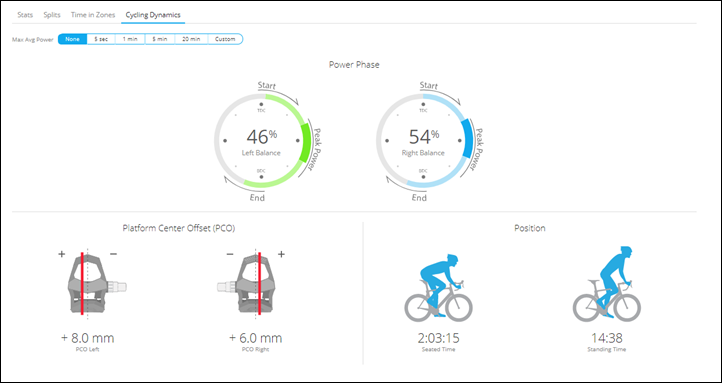 I just opened a support case with Wahoo and they confirmed that I can display the cycling dynamics from Vector 3 pedals on an Elemnt or Bolt unit. For my use case I don’t care about logging this data as that is handled by my Fenix 5 and I don’t want to duplicate it (i’m doing duathlon/triathlon’s so it’s easier this way). This is great news (assuming it’s true) and now i’ve just got to decide between the two devices. “I’m looking at buying a bike computer for real time data while riding. I currently have Garmin Vector 3 pedals and a Fenix 5 watch but am looking at the Elemnt or Bolt. Would be great if anyone has tried this and can confirm. Otherwise I’ll feedback once I tested it. It can’t, Wahoo support is incorrect. It’s something they’re looking into, but it doesn’t record any of that data today. I suspect the person is confusing the new Pioneer pedaling metrics support with the Vector support. The only thing it records today is total power, left/right balance, and cadence. I can display the pedal dynamics on my Elemnt. I cant log it though. Yeah, that’s just standard ANT+ stuff though (left/right balance, Pedal Smoothness/Torque Efficiency). All normal ANT+ things. Vector sends additional data with more metrics though that’s going to be part of the Cycling Dynamics standard shortly (which Wahoo is planning on supporting). It just hasn’t happened yet. -Added cycling dynamics support for 3rd party power sensors. 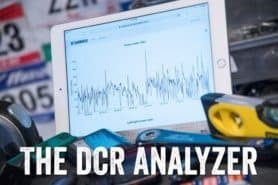 Will stages dual power-meter support cycling dynamics? I’m not aware of them working on that. Cool that the 1030 has had this added – I’m hoping that Favero aren’t too far away from implementation. Has there been any word on which other garmin head units will have this update? I have the 1000 and updates for that have dried up somewhat. I believe the Edge 520 Plus and Edge 820 also got updates recently for it. Not sure on the Edge 1000 plans there.